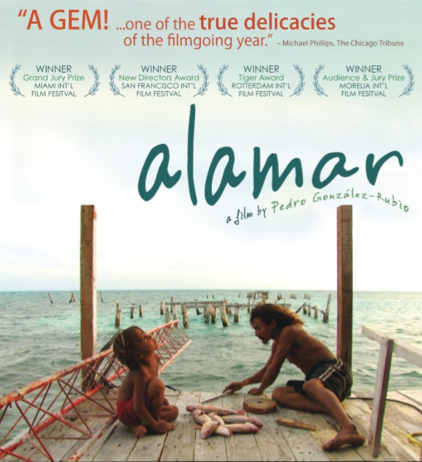 Alamar is not a new movie (2009) but it’s worth seeing if you’re craving a vacation, love the ocean, have/know a young child, remember being a young child or believe there is magic left somewhere in the world. It’s on Netflix (available Instantly) which makes it about as easy as it gets to take a look. The link is the NY Times review, ant it’s pretty accurate though I always have problems with the NYT perspective. Know that there is not much said and not much “happens” in the classic sense of the word. But if you’d like to look at the world through a different lens for 73 minutes this might fit the bill — it’s bright and sunny for the most part and speaks to an elemental desire of many for some mostly mythological simpler time. This entry was posted by John Pasmore on Sunday, July 10th, 2011 at 7:47 pm	and is filed under Art and tagged with Alamar. You can follow any responses to this entry through the RSS 2.0 feed.